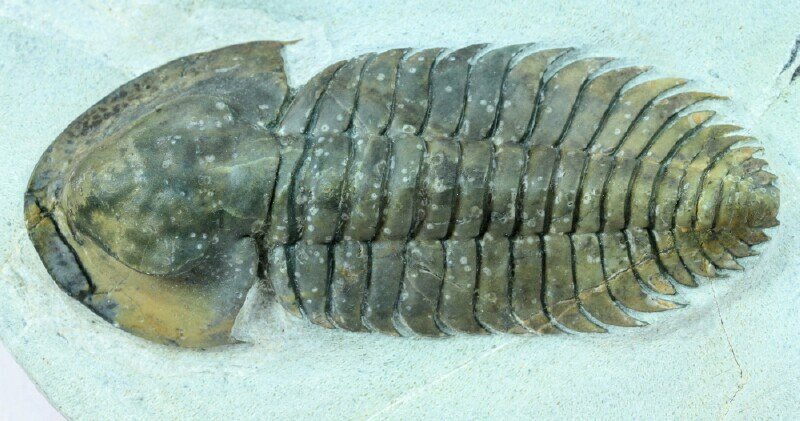 Description: This trilobite is a member of Order Redlichiida that is named Bondonella szduyi. The Issafen Formation where it occurs in Morocco is dated to be Early Cambrian. It was originally described some 60 years ago when it was placed in genus Neltneria, which was revised in 1993, when it was placed in the new genus Bondonella. There is a second known species Bondonella typica. Bondonella szduyi comes in two forms, one called the narrow form and the other the wide form. It is unclear whether the two forms differ due to compression and or is, in fact, an entirely different species. 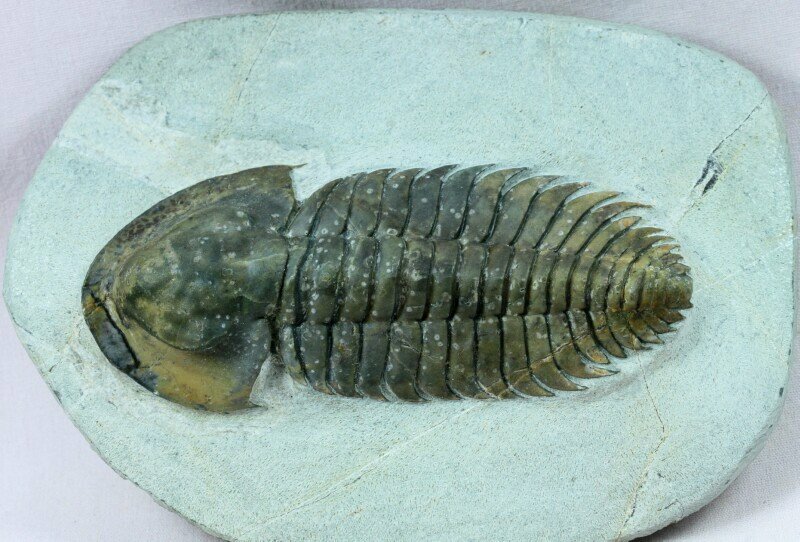 In either case, Bondonella is a rare trilobite. Reference: Journal of Paleontology, Vol 69 No 3, May 1995, pp 459-474. Also see: Moroccan Trilobites; Images provided by Fossil Mall.